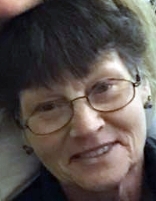 COOPERSTOWN - Joann M. O'Brien, 59, of Cooperstown, passed away following a valiant battle with cancer Sunday morning, February 4, 2018, at Bassett Medical Center in Cooperstown. She was born in Port Chester, one of three daughters of Joseph Alan and Dolores (Miller) Theriault. A graduate of Mamaroneck High School, she later served as a bus driver in New Rochelle. After moving to Cooperstown, Joann worked for a time with Head Start, and later did house cleaning and babysitting. Prior to her illness, she was employed as a sales assistant for Mirabitos. A communicant of St. Mary's "Our Lady of the Lake" Roman Catholic Church in Cooperstown she was also a faithful member of the Cooperstown Fire Department. Her perseverance and positive attitude through ten long years with cancer was inspirational. She will be greatly missed by her family and many friends. Joann is survived by her long-time faithful companion, Jerry "Jiggs" Monroe of Cooperstown; one son, Joseph O'Brien and his partner, Gabrielle Santoro of East Springfield; two daughters, Michelle Reckeweg of Springfield Center; and Janet O'Brien of Laurens; six grandchildren, Brianna, Emily, Brendan, and Kristin ("Buttercup") Reckeweg, and Alexis and Isabella ("Peanut") Furlan; two sisters, Allison Cacciola and husband, Carl of New Rochelle and Patricia Theriault of Shirley; her father's companion Dottie Payne of City Island; and many aunts and uncles, nieces, nephews and cousins. She was predeceased by her mother, Dolores Theriault, who died June 26, 1999, and her father, Joe Theriault, who died August 27, 2017. A visitation will be held from 5-7 p.m. Wednesday, February 7, 2018, at the Connell, Dow & Deysenroth Funeral Home, 82 Chestnut Street, Cooperstown. The Liturgy of Christian Burial will be offered at 10 a.m. Thursday, February 8, 2018, at St. Mary's "Our Lady of the Lake" Roman Catholic Church in Cooperstown, with Fr. John P. Rosson, pastor, presiding. Burial will be later this Spring in Lakewood Cemetery, Cooperstown. In lieu of flowers, donations to Joann's family would be greatly appreciated, and may be mailed to 279 Main Street, Cooperstown, NY 13326.